Dura International® Brake Drums Guarantee Smooth, Vibration-free Performance. Dura International® Brake Drums are made with multiple vein configurations to force out hot air and pull in cool air providing suitable heat dissipation and improved performance. Detailed castings with extractor and set screw holes ensures an easy installation. All drums and motors meet dimensional and weight specifications. Available types are Behind The Hub, Floating and Hub/Bearing. Outer dimaters range from 8.78" - 11.61". Other dimensions vary per model. 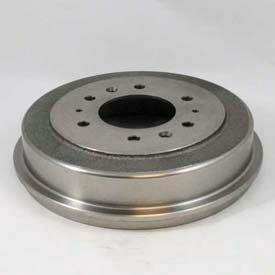 Omega Heavy Duty Brake Drum Handler Is Widely Used In Automotive Garages, Service Departments And Other Vehicle Fleet Maintenance Applications. 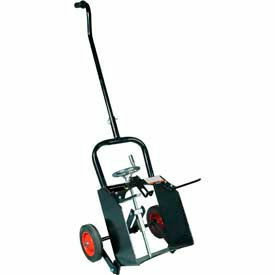 Omega Heavy Duty Brake Drum Handler is made of high quality components to provide lasting durability and performance when removing or installing brake drums. Designed for use with 15" and 16-1/2" brake drums. Detachable handle provides convenient storage when not in use. 3/4 ton capacity.